USP 4-0 SUPRAMID EXTRA Sterile Cassette, 100m. For Veterinary use only. 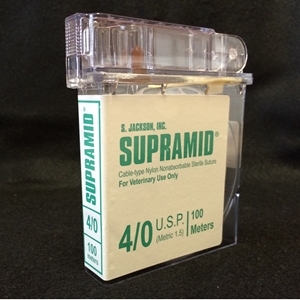 USP 4-0 SUPRAMID EXTRA Sterile Cassette, 100m.